Kyle Follett talks about his debut at Ironman in Sweden this weekend. 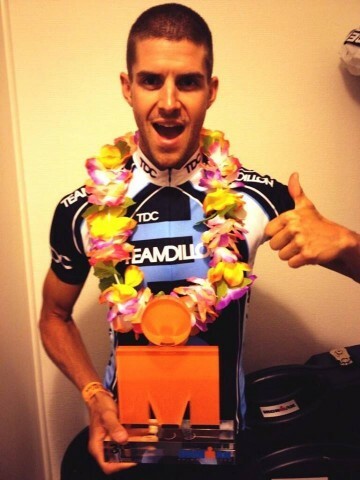 In an honest and open blog of his up’s and down’s, and finally success and qualification to Kona as well as the World 70.3 championships in Vegas! The words that are repeated for every athlete to cross the finish line. It’s fair to say that it has been a long tough season to date and I still have approximately 15hrs of racing ahead of me and achieving my goals. Here’s why…. In September 2012, the decision was made between myself and coach Perry Agass of Team Dillon to compete in an Ironman. It was discussed in great length, what distance to focus on for the coming season (2013), and based on what we believed to be my strengths and strongest disciplines, half Ironman and Ironman it was. My 3 key races were Ironman Austria 70.3, Ironman Norway 70.3 and Ironman Sweden. My goals were to qualify for one or both 70.3 & Ironman World Championships in Vegas and Kona. 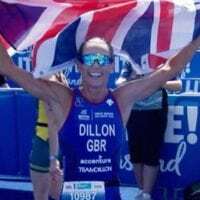 In between my key races I competed in both duathlon and Olympic distance triathlons to act as pre season warm ups and the hope of trying to clinch a spot at the London World Championships which unfortunately, I did not achieve. This leads me to talk about something I find difficult sharing with others but inevitably happens to every athlete. 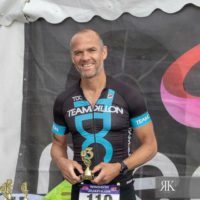 After a hard and gruelling pre season training and a very successful TDC training camp in Lanzarote with coach and fellow athletes, I was in great shape and felt invincible going into Ironman Austria 70.3. I had a great race and posted a 01:16 half marathon time which was the highlight for me. Unfortunately I didn’t qualify for Vegas on that attempt, which took away the sense of achievement I should have been feeling after completing my first 70.3 and finishing 5th in my age cat. Ironman Norway 70.3 was nearing and I had to pull my finger out if I was going to have a chance of qualifying for the Ironman 70.3 World Champs in Vegas. My training went really well in the run into the race, i regained some of my confidence and I started to feel like the athlete I was before Austria 70.3. It was a very tough race and again I finished 5th in my age cat but I also clinched a slot to Vegas!!! Since that race, my season has gone from strength to strength. I’m stronger than I ever have been, training is going great with Perry and my confidence is at an all time high. This weekend, 17 August in Sweden, Kalmar where I competed in my first Ironman I not only achieved a 09:24 and 3rd in my age cat, I qualified for the Ironman World Championships in Kona. 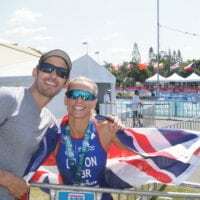 If someone said to me at the beginning of the season I’d be going to both Ironman 70.3 & Ironman World Championships in what is my first competitive season having only been working with Perry for just over a year now, I’d have laughed. When I arrive back in the UK I will discuss with Perry, the approach to both races and come up with the plan of attack. With just 3 weeks until the 70.3 WC’s in Vegas, time is of the essence and getting the right mix of recovery and quality training is important. It’s time to get focused again for the races ahead.